Absolutely love the sweet flavor that develops from cooking onions low and slow with salt, sugar and butter. 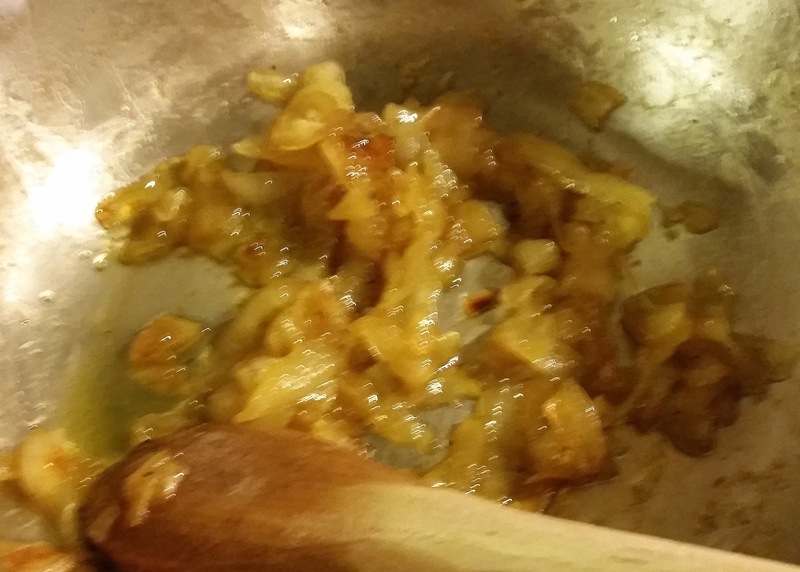 The caramelization gives the best onion flavor that can be used with anything. It goes great on toast, pizzas, with beef, burgers, soups, salads, or if you are a true onion fan, straight out the jar. Now you could buy this at the store and I have seen both the caramelized onion along with shallot variations, but it is just as easy to do at home and then you have the opportunity to play with the flavor and make it work just for you, so have fun with it. Maybe use brown sugar instead of standard white or add other flavors like garlic or ginger to make it your own. This recipe makes enough for the onions to have on the side of a few meals and will keep for about a week, but if you want to make one serving, quarter the recipe. But really - why wouldn't you want more rather than less. Heat a skillet over low heat. Add oil and butter. When butter is melted, add onions, sugar, salt and pepper and cook low and slow for around 35-40 minutes. Stirring regularly until they become a nice brown color. Serve with what ever you would like! Enjoy!